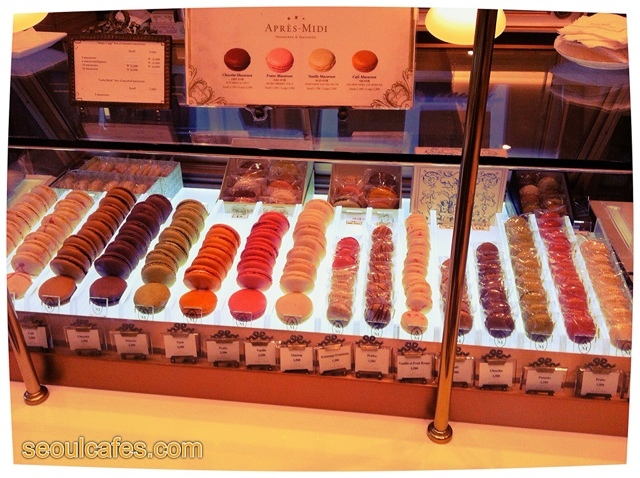 Apres-Midi's macarons selection at Shinsegae Department store (Kangnam branch) located in Gosok Terminal station. The food floor is on the bottom. Just follow your nose, that's an easy way to put it!